Best wishes for a happy, healthy New Year to all the artists and writers whose creativity and art make Charm City Streets possible … to our readers whose interest in and appreciation of graffiti and street art fuel our photography … and to fellow photographers whose comradery and guidance allow Charm City Streets to capture images of artwork otherwise unknown or inaccessible. Our heartfelt thanks go out to each and every one of you. 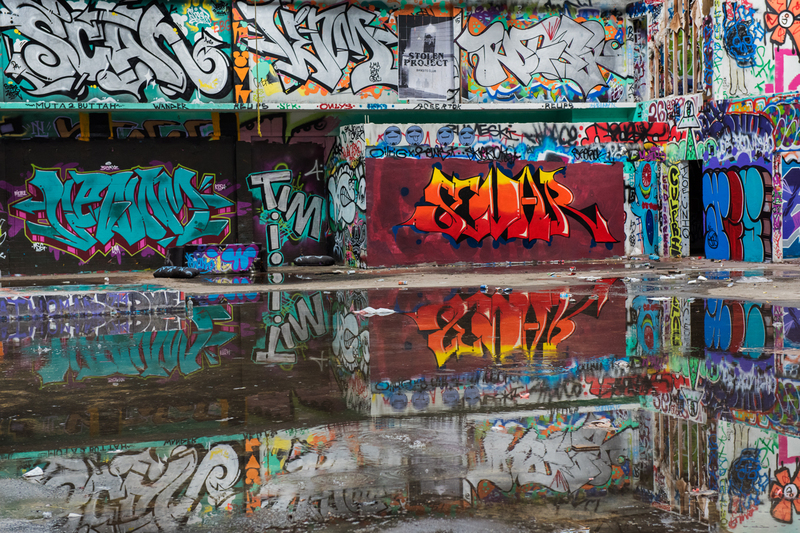 In posts over the past week or so, Charm City Streets has led you on a photo safari through twisting alleyways, inside an old factory, past warehouses trackside, and along the streets of Wynwood during Art Basel 2016. Today’s leg of the photo safari leads past the walls Wynwood has to offer in other nooks and crannies. Be prepared to see spectacular graffiti. Yesterday’s post featured a photo tour of the interior of the former RC Cola bottling plant in Wynwood. This converted industrial site is now an event space. The former RC Cola bottling plant in Wynwood stood abandoned until Mana Miami converted it into an event space several years ago. The building and lot are gargantuan in size – providing over 2000 linear feet of wall space. 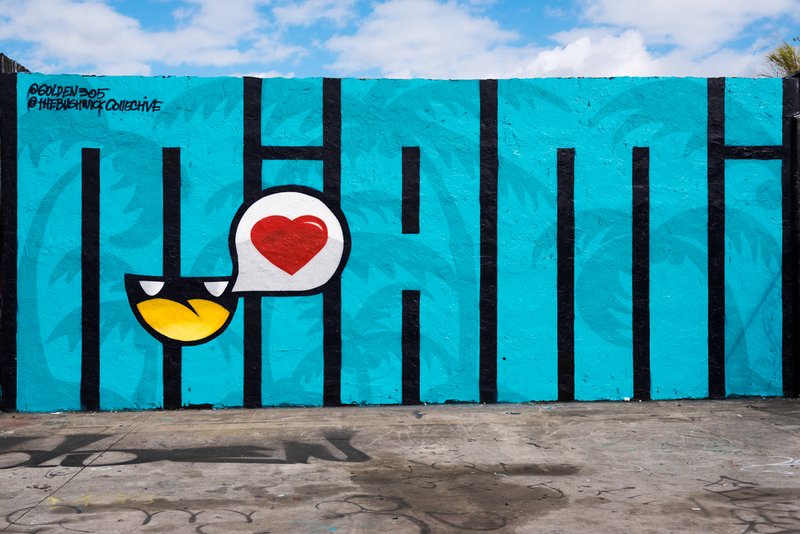 Thus, graffiti writers now converge here during Art Basel to work their artistic magic on the wide expanse of concrete canvas. 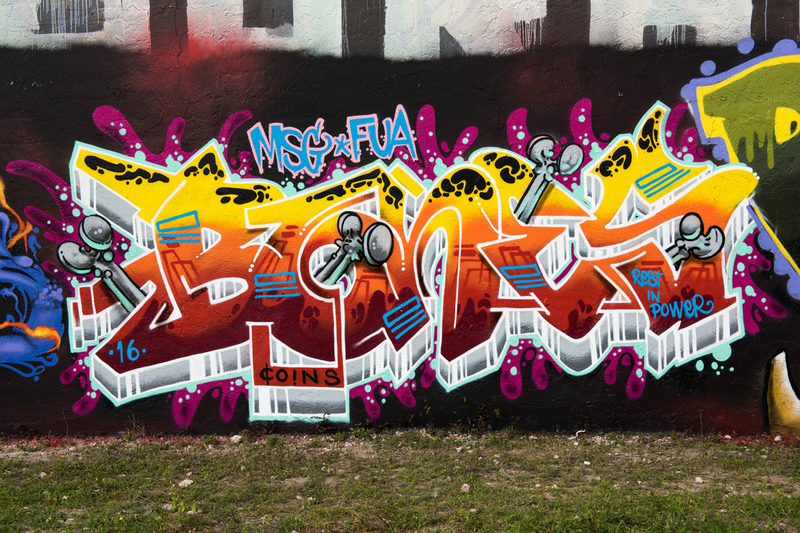 One could see two thumps-up pieces by members of the MSG and FUA Crews all around the Wynwood neighborhood. 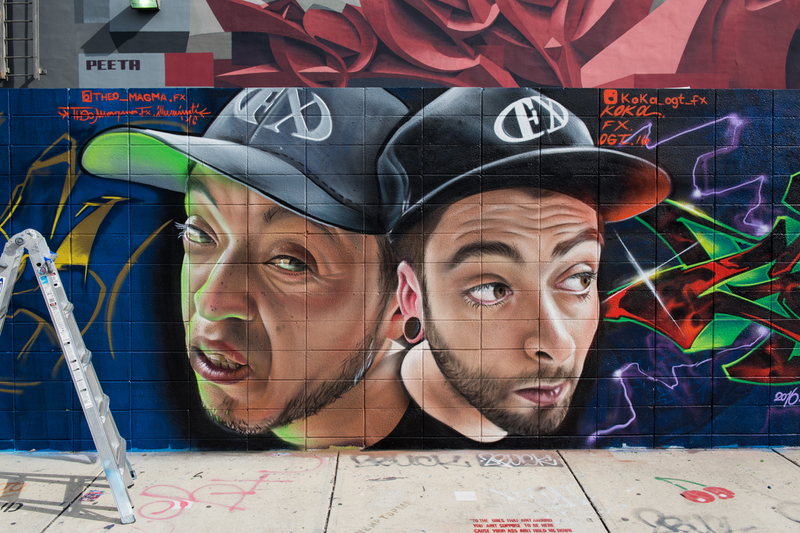 Their most impressive work at Art Basel 2016 were the back to back pieces they painted in tribute to fellow crew member Bones. 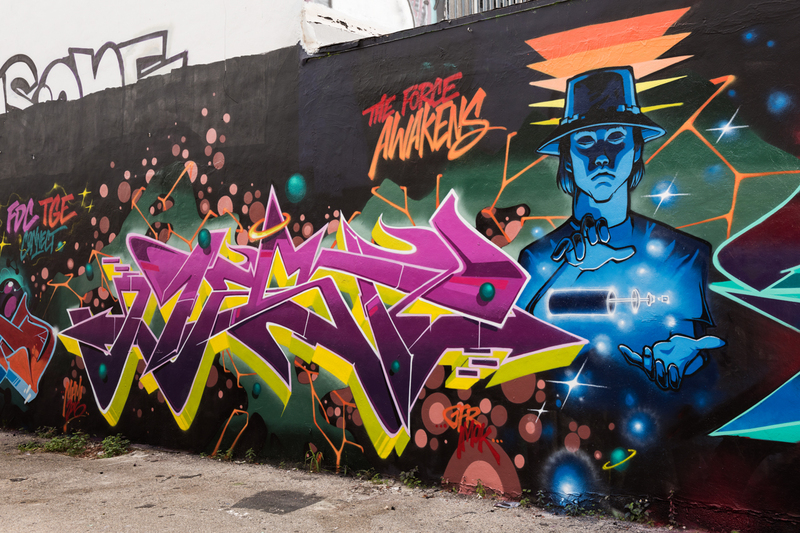 During Art Basel 2016, spray cans were shaking throughout Wynwood as graff writers got down and set walls aflame. Dope new work covered walls, alleyways, roller doors, parking lots, boarded-up houses, sheds, and even the occasional slow-moving beach bum. 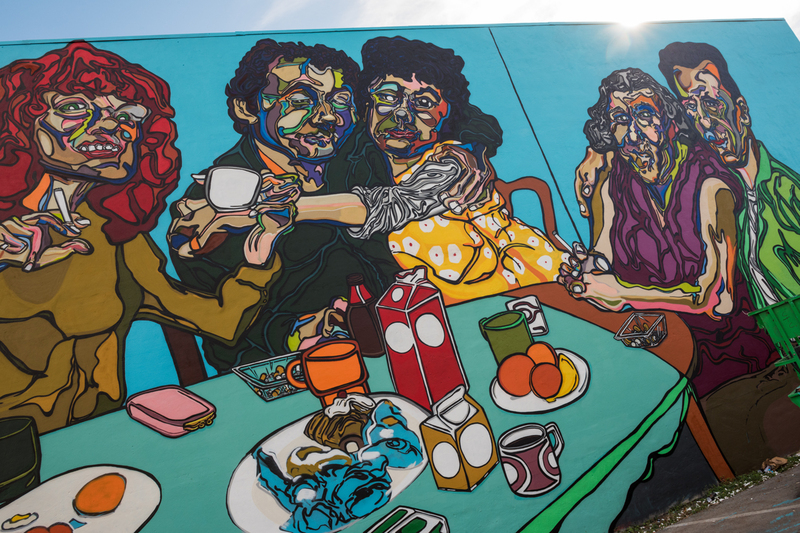 A few years ago, budget cuts forced the elimination of art education in Wynwood schools. 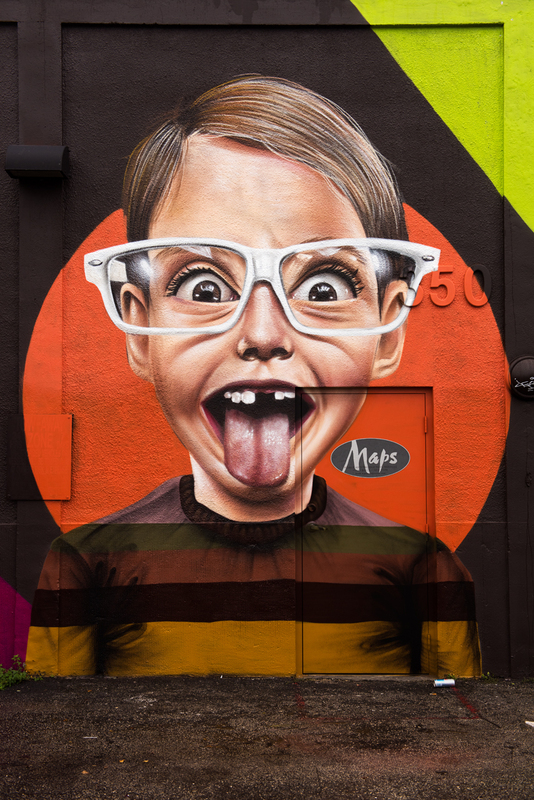 That reality was hard to comprehend considering street art and contemporary art galleries were mushrooming and flourishing throughout the rest of this Miami neighborhood. Tougher still was its negative impact upon area students. 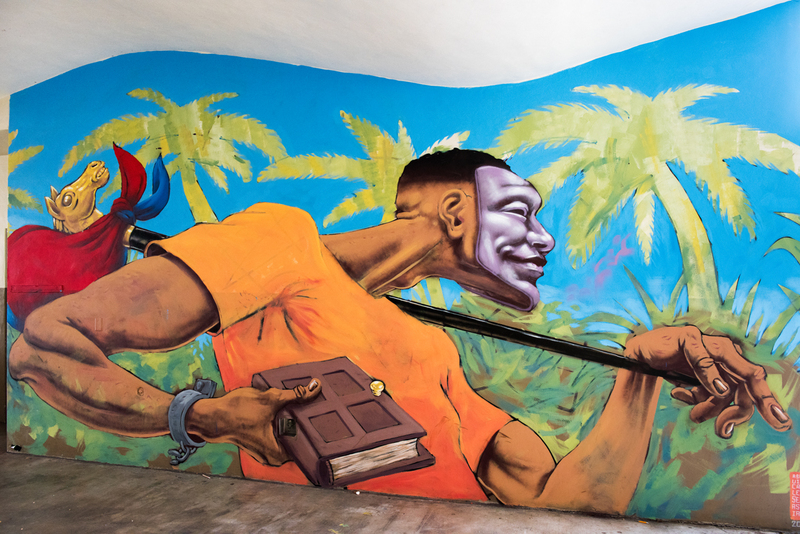 Enter The RAW Project, Re-imagining the Arts in Wynwood. 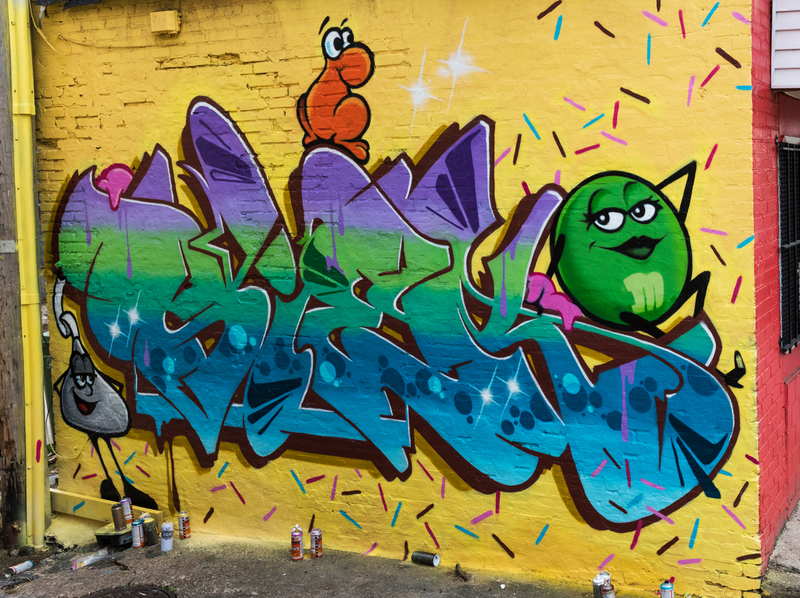 With approval of school officials, the RAW Project raised donations and curated artists from around the world to add color to the walls of Jose de Diego Middle School, nurture creativity in the students, and help resurrect and enliven their arts program. 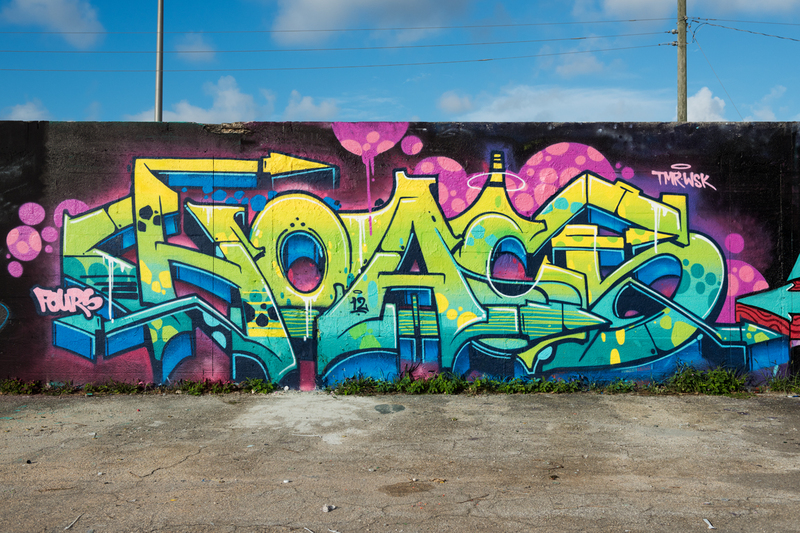 Members of the FDC and the TGE crews connected in a small parking lot off NW 24th Street during Art Basel 2016. Over that early December weekend Charm City Streets repeatedly visited their alleyway to watch the crew members and other writers capture, electrify, and dominate the walls. The experience was incredible, and the artwork superb. The line above the masterful piece by Mast says it all … the force awakens.